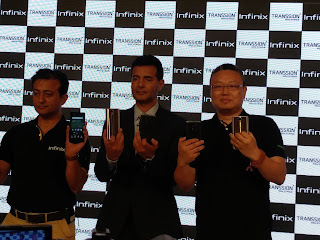 Transsion Holdings, a global company dedicated to providing mobile communication products and mobile internet services in over 50+ countries, today announced the launch of its premium online smartphone brand – Infinix in India. Founded in 2012, Infinix is driven by the brand spirit of challenging the norms. Infinix smartphones are designed specifically for young people who want to stand out, reach out and get connected with the world. Infinix begins its journey in India by introducing Note 4 and Hot 4 Pro from its global range of smartphones priced at INR 8,999/- and INR 7,499/- respectively to be available exclusively on Flipkart, India’s largest online retailer. To boost the consumer confidence Infinix is supported by an extensive service network of over 850 plus touch points across the country. All the launch products come with a free one-time screen replacement within the first 100 days of purchase (T&C apply). 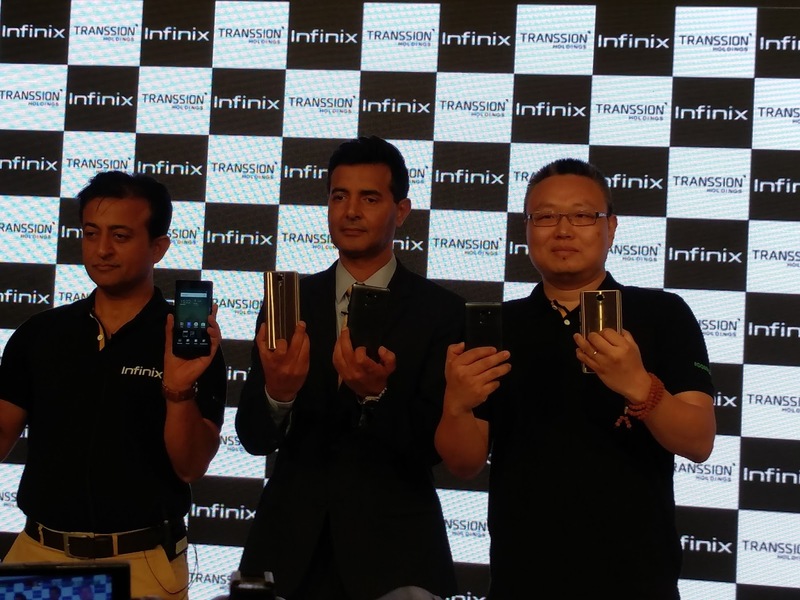 “India is an extremely significant market for us” saidBenjamin, Global Head Infinix. “The Indian smartphone industry is ever changing. It is interesting to note how millennials understand technology and become the conduit for driving online adoption. Our vision for Indian market is to become a preferred choice for young consumers by designing products that complement their lifestyle and make technology innovation affordable. We aim to expand our product portfolio by launching “Made for India” products soon” he further added. To celebrate the launch of Infinix on Flipkart, Mr. Ajay Veer Yadav, VP Smartphones said, "Flipkart has a wide array of budget friendly smartphones that are not only easy on the pocket but are also equipped with best in class technology. A significant chunk of our large and growing customer base opt for affordable smartphones that are characterized by a sleek design, powerful battery life and high performance. Our exclusive association with Infinix checks all these boxes as we look forward to expanding shoppers’ choice of phones in this segment. We are determined to bring customers more innovation, superlative choices and a richer experience to constantly keep them excited and maintain our market leadership in this segment”. Flipkart is also providing a host of launch offers on purchase of Note 4 and Hot 4 Pro buyers (T&C apply). Consumers will get a free 2 months’ subscription for Hotstar Premium, up to Rs. 8,500 off on Exchange for Note 4 and Rs. 7,000 off on Hot 4 Pro. There is an extra 15% off on Flipkart Fashion and Lifestyle category on August 5th - 6th only. In addition, consumer can also avail 84 GB data for 84 days at just Rs.443 from IDEA Cellular with the purchase of Infinix smartphones. Infinix is a premium smartphone brand from TRANSSION Holdings designed for the young generation who desire to live a smart lifestyle. Founded in 2012, Infinix is committed to building cutting-edge technology and fashionably designed dynamic mobile devices to create globally-focused intelligent life experiences through a merging of fashion + technology. Through daily interactions these intuitive products become part of a lifestyle that represents trend-setting and intelligent experiences for young people around the world. Infinix currently promotes four product lines: ZERO, NOTE, S, and HOT in a global marketplace reaching countries in Europe, Africa, Latin America, Middle East and Asia. With the brand spirit of challenging the norms, Infinix smart devices are designed specifically for young people who want to stand out, reach out and are in sync with the world.